by my favorite author Jeanette Winterson. "Colours became her talismans. At the end of each black and white day. she dreamed in colour. At night, she soaked her body in magenta dyes, scrubbed herself with pumice of lime. The pillow was splashed in crimson by her black hair. 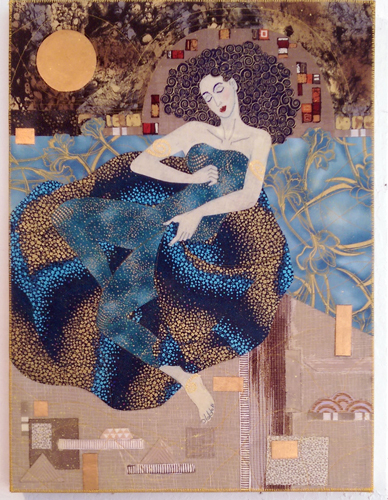 She slept under a cloak of Klimt." 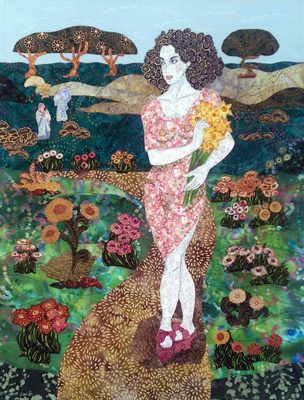 I created this piece for my exhibit at the gorgeous Filoli Gardens, historic estate in Woodside, California. 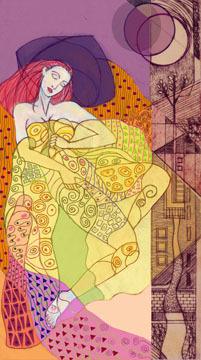 I was inspired by Klimt's painting, The Dancer, but wanted her in a beautiful garden filled with flowers as in his lovely llandscapes. 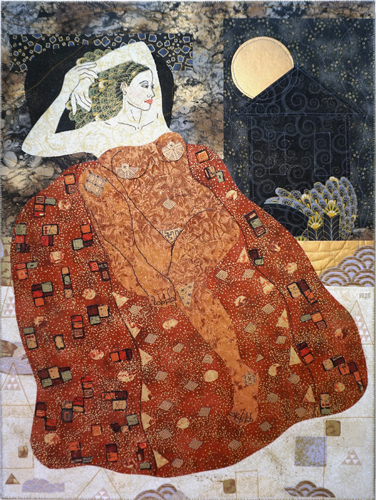 Oil painting by Austrian artists, Gustav Klimt, completed just before he died in 1918 at the age of 55. 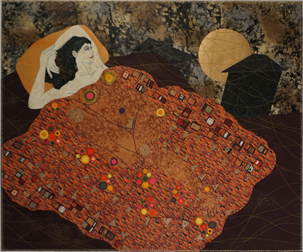 It is in a private collection in New York. My figurative work, including stone lithographs and etchings, as well as mixed media pieces are on display in my Newark, California studio.